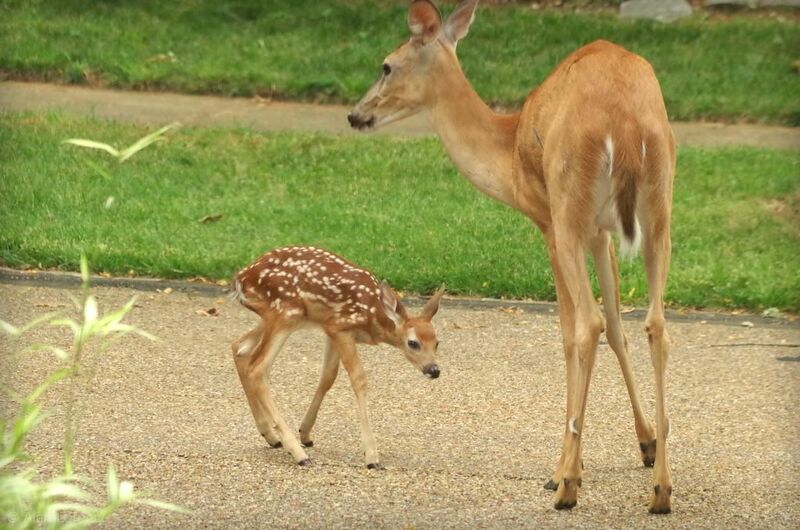 It's fawn season, so I'm not too surprised when I spot one in the garden or in a neighbor's yard. 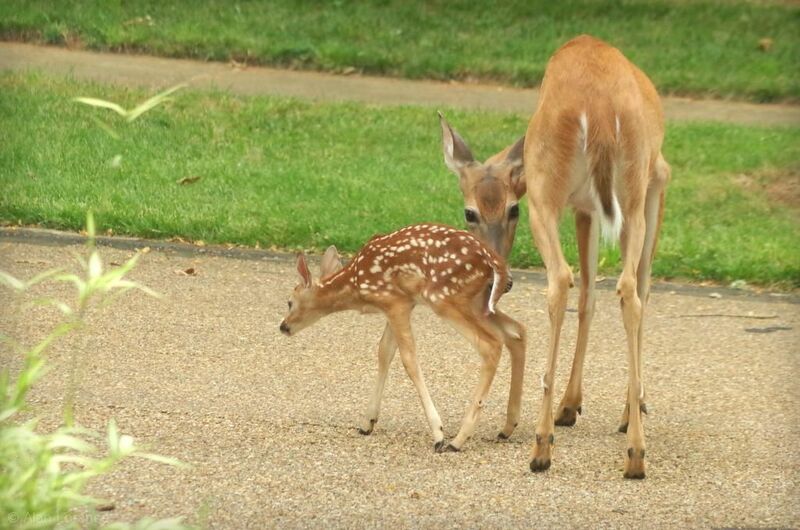 I am surprised when one stands in the road for ten minutes to nurse though! 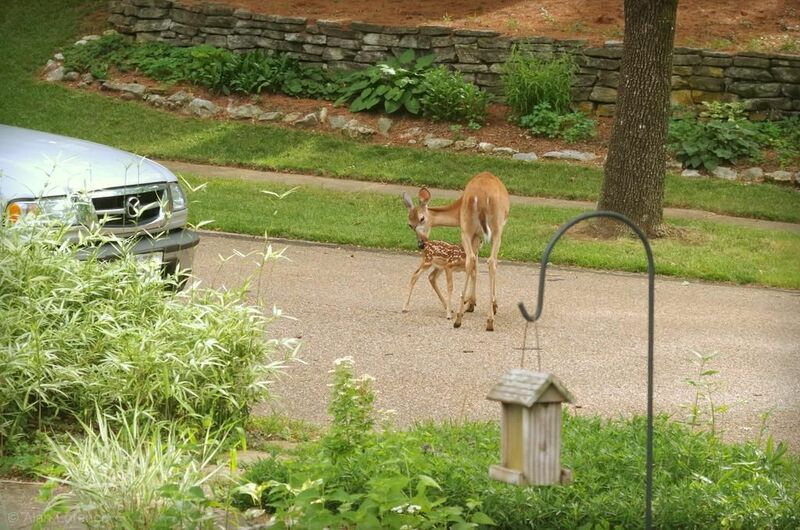 You know the deer have taken over when they nurse in the street! I'm pretty sure this was a newborn based on how wobbly it was. Probably born in the night, was hiding somewhere either in my hellstrip bamboo or in the foliage across the street (I wish I would have seen where it came from! 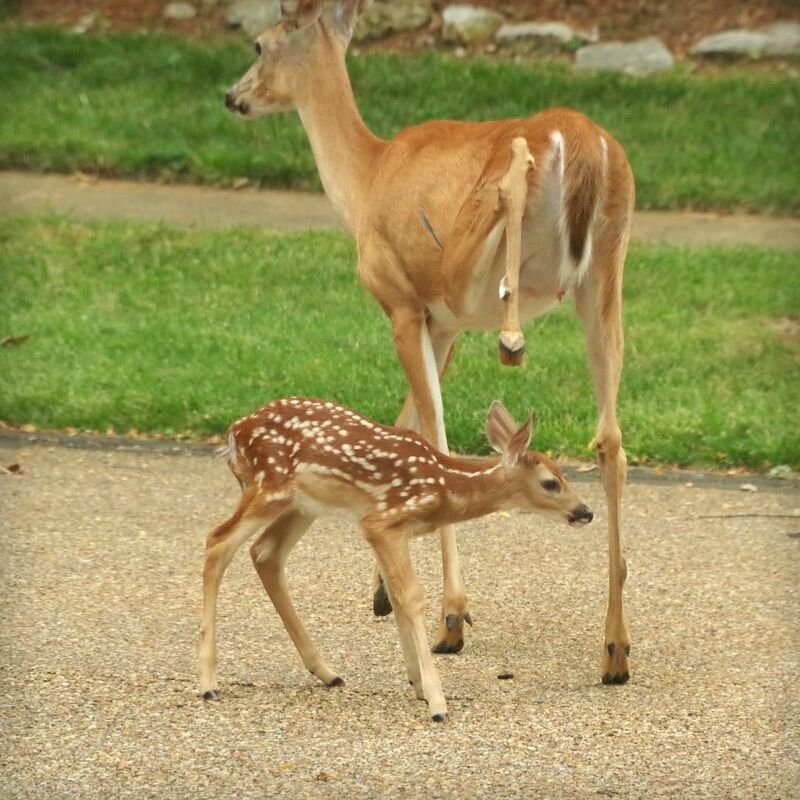 ), and when mom returned at about 5:00 PM it had a meal. Love it! Now if they had laid down in the street, that would probably mean we've lost. 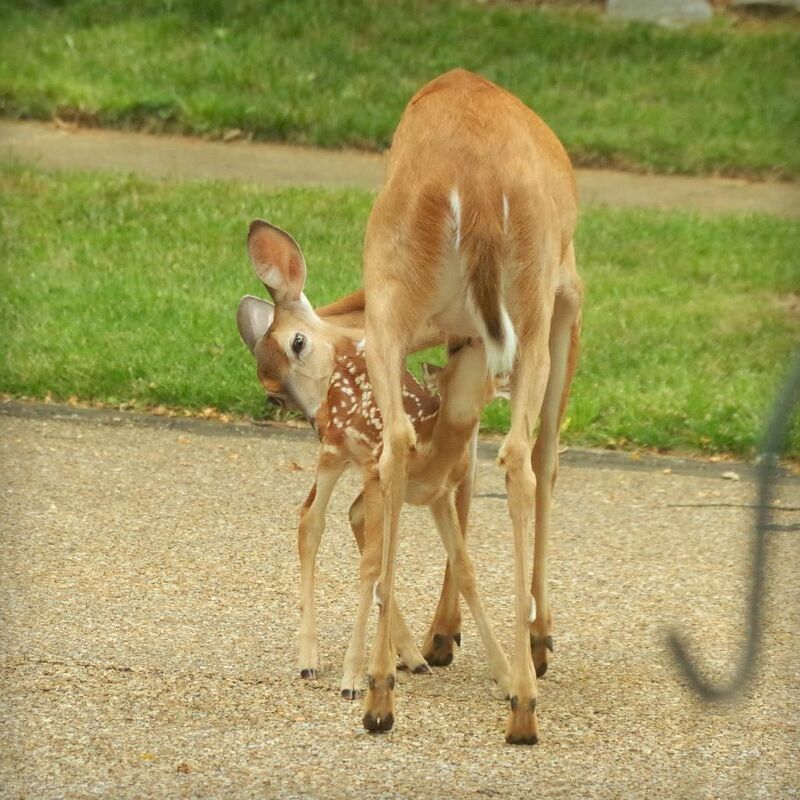 It's interesting that you mention the bottom licking because I saw our mother doing the same thing with one of our fawns. Wondered what she was doing. 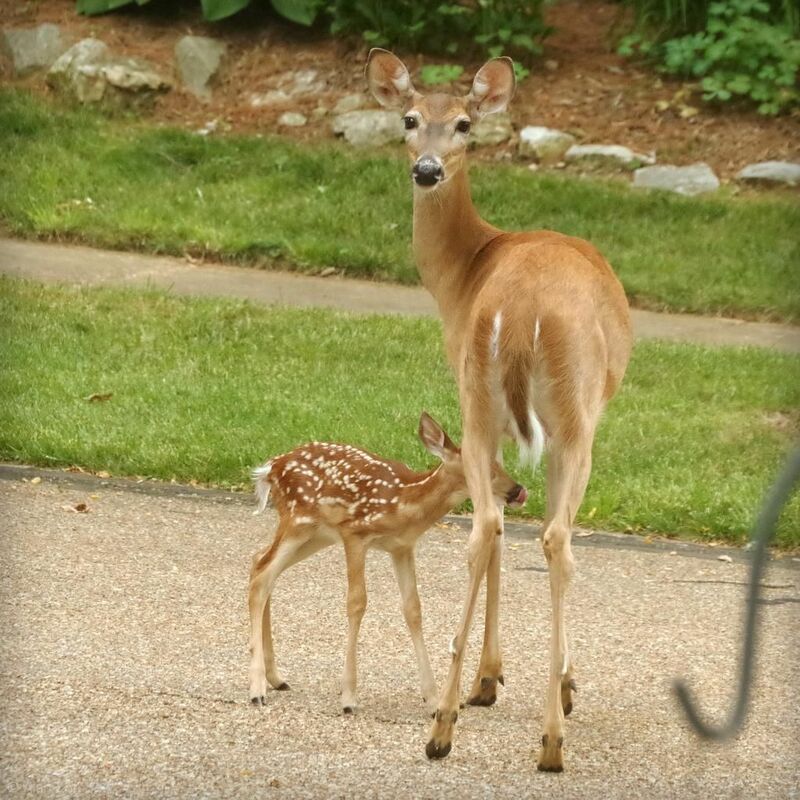 The wonder of new life at this time of year never ceases to thrill. How lucky that you got both a show and a bit of free fertilizer! Beautiful shots.